WooCommerce Private Store is designed to be a standalone solution. It works by creating a global password which users can enter to view your WooCommerce store. Membership plugins work differently because each user has a unique login, and are shown different content depending on their user level. It’s sometimes worth using WooCommerce Private Store with a membership plugin to add extra security to the members area. For example, it might add extra features such as blocking your WooCommerce content from search engines and the on-site WordPress search. 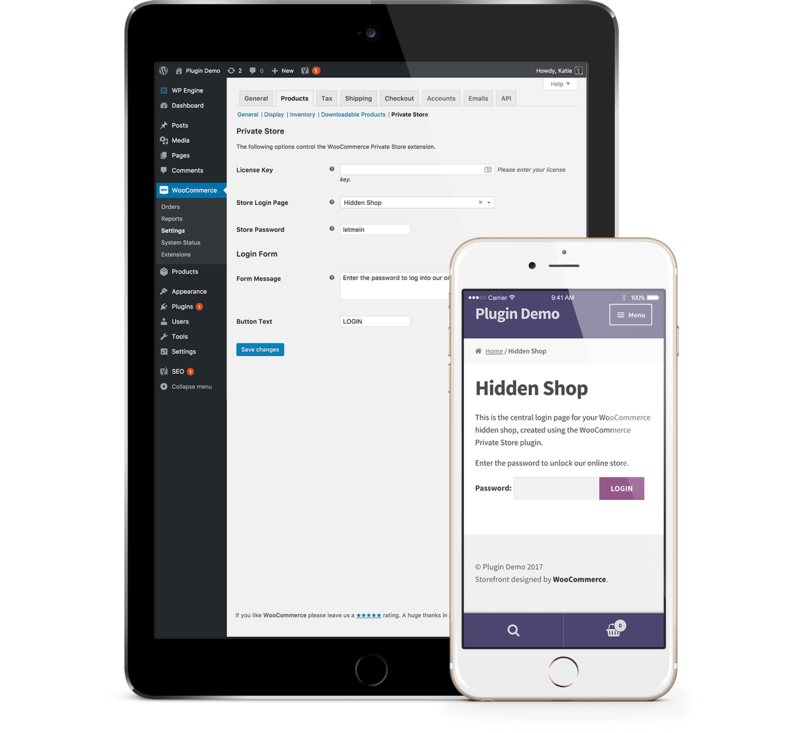 If you use WooCommerce Private Store with a membership plugin then we would recommend ticking the “Logged In Users” box in the plugin settings. This will mean that, once your members have logged in, they will automatically unlock your store as well, without having to enter the store password.